Count on Buddy's Maintenance in Murrieta, California, for dependable major appliance repairs. We work on most major brands, so let our 25 years of experience provide you with honest customer service, affordable rates. 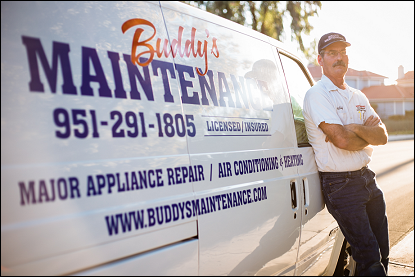 Buddy's Maintenance is ready to take care of all your major appliance repairs. There is a $55.00 diagnostic fee for appliance repair. This fee is waived if Buddy's Maintenance completes your repairs. All quotes are based upon a flat rate for the repair you need. Typical refrigerator repairs include condensing cleaning, not getting cold enough, or just acting odd. 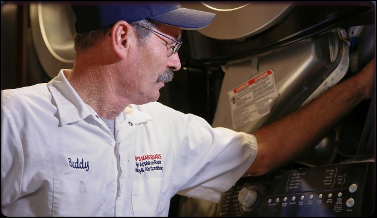 Buddy's offers a 30-day warranty on labor and 90 days on most parts for all repairs. Call Buddy's Maintenance for your appliance repairs. Proudly Serving Temecula, Murrieta, Wildomar, French Valley, Menifee, Sun City & Lake Elsinore. Call and ask for more. Giving quotes over the phone. NOTE: "Diagnostic fee will be quoted over the phone". Remember there is so many makes and models out there, and to give you the best service possible we need to diagnosis the problem hands on. We will not sell you something you do not need. Start Saving on Appliance Repairs Now! Contact us for appliance repairs in Murrieta, Sun City, Wildomar, Menifee, Lake Elsinore, French Valley, and Temecula, California.